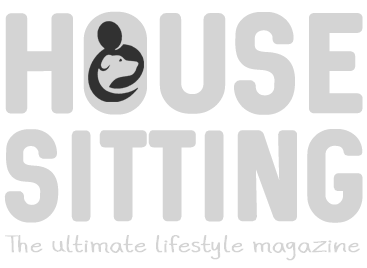 Horse Sitting - Questions to ask when house sitting with horses? Do you have what it takes to care for horses on a house sit? I haven’t done a lot of house sitting with horses – just one horse for six days in Suffolk, UK – but I am an ex-horse owner. My own experience of owning horses means I can see the potential issues that might arise when looking after horses that belong to other people. Particularly if you have no direct experience of handling horses or ponies. Isn’t it OK if they don’t need to be ridden? The owner may say that you are not required to handle the horses, just keep an eye on them and make sure they have enough water to drink. However, there are situations that may arise where you have to catch a horse that is hurt or sick, and hold onto them while a vet or farrier attends to them. While emergency situations are relatively few and far between, it would be “Murphy’s Law” that it happens while the owners are away. For example, a friend has just called me and talked about house sitting some horses for someone and related a story about one of the horses impaling himself on a dead tree branch and needing veterinary attention. 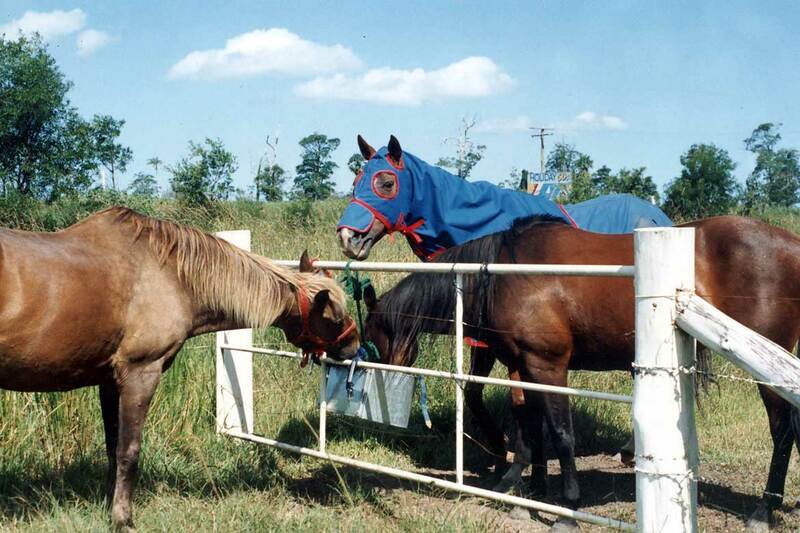 A long time ago one of my own horses ran through a barbed wire fence and made a mess of herself, requiring daily dressings and medication after the vet patched her up. I also ran an agistment property many years ago and a lot of the horses contracted a flu like virus called “strangles” and we had to give them daily injections of antibiotics. Are you up to coping with any of those situations or does the thought of it horrify you? If it sounds daunting then maybe house sitting with large animals isn’t for you. I’m not trying to discourage anyone from house sitting with horses, I just think that questions must be asked before accepting these sits if you don’t have any experience yourself. You need to know what to look out for at the very least. Is there someone close by who can help out if there is an incident that requires a horse to be caught and handled? This would preferably be someone that already knows the animal. Are they large horses or small ponies? The point being that the larger and stronger they are, the more terrifying they can be up close, though I’ve known a few very strong small ponies in my time! How old are the horses, and have they had any prior medical treatment? Are the horses handled and/or ridden regularly or are they a bit on the wild side? Note: When up close to horses you should always wear solid boots as it is easy to have your feet trodden on. As you can imagine, it is very painful if you are only wearing sandals! If the climate is cold, are the horses rugged? Would you have to remove the rugs during the day and replace them at night? Are they stabled at night, do you have to shut them up and let them out in the morning? Do they require feeding? How much work is required to make up their feeds? If they are in small paddocks, do you have to pick up the horse poo? Will you need to clean mud from their feet? Do you have to clean out stables? Is the area known for ticks? What symptoms would they cause in a horse? Are their any trees known to be poisonous that they need to be kept away from in or close to the paddocks? Are the paddocks totally secure? Is there electric fencing – where is the cut off? Obviously we all know that all sorts of things can go wrong with any animal, but unlike dogs and cats, you can’t just throw a horse into the car and take it to the vet. You can’t take a horse inside by the fire on a cold night if it is sick! I’m just trying to emphasize that it’s very different to looking after small animals and shouldn’t be taken on unless you are sure and confident that you can do it. In saying all of this, I’m really hoping that one day I get to house sit with a gorgeous quiet and bombproof horse that I can ride every day in some pristine area with no dangerous roads or obstacles. Well… we can all dream! Alison…well written and great tips for house sitting with horses as part of the gig. We have done 45 house sits now…some of them with horses agisted. Good to know there is help out there!